So…yeah – I attended the The Great Run (http://thegreatrun.org) over the weekend an boy was if fun. All the fast cars and the adrenaline that goes with it. This 5th edition of the run was taking participants from Nairobi to Mai Mahiu, Narok, Bomet, Mogogosiek (where the home we were supporting is), Litein, Kericho, Mau Summit, Nakuru, Naivasha and then back to Nairobi. 620 clicks – according to my odometer – when I was done. 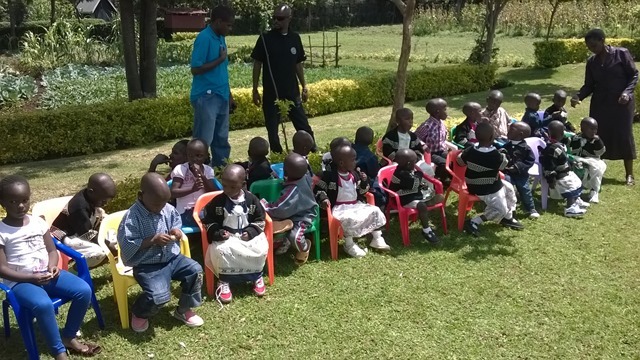 The home being supported was the AIC Babies Home (yes – babies). Their youngest child was about 2 weeks old with the eldest being 7 years old. From what the Chairman of the home said – in his very loooooooong speech (he may have forgotten that people actually had to get back to Nairobi the same day…or maybe it is just what happens when leaders get hold of a microphone and an audience) – the home supports the young ones and then moves them on to other homes as they get older – and they get needy children from all over the region. That aside, The Great Run was able to support them big time with donations that people generously carried in their boots – and a cash donation too – I think (not too sure about that last bit – I had to leave before the ceremonies were over for safety reasons). On the whole – it was a day well spent. The Great Run is known for being an even that pits man against machine – and endurance event that any body with any class of vehicle can participate. Six hundred clicks in a day is not easy to hack. There have been occurrences of where the ‘men’ give up or – as is most often the case – the machine gives in. In this edition of the machine, keeping in mind that any class of vehicle could participate – I attended the great run with a motorbike. And no, not a 600cc 160KPH Max speed motorbike – a 110cc Yamaha Crux. What many people would quickly recognize as a ‘boda boda’. Yes. 600 clicks on that thing was anything but a joke. The ride to the home – bearable – seeing as I was fresh from a good nights sleep and the weather held up. 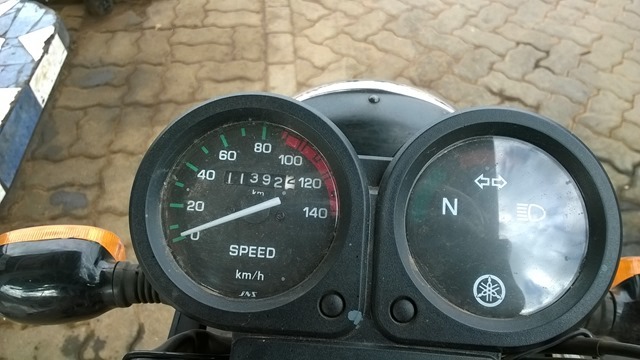 The final 320 clicks of the journey – not funny at all – and the fact that it rained from Gilgil to past Naivasha made this leg of the trip quite challenging. But guess what…I did it. The full course that the cars took. Even I was surprised that the machine did not fail me on that journey coz clearly I was the weaker link in that man-machine combination. I do however, have the funny feeling that taking that machine for the run where top speed (a mere 110KPH) was achieved at several occasions and full throttle was the norm – could have had some negative effects on it – but those I will find out later after I do a thorough checkup on it. For now, it still runs as normal. In as much as the trip was grueling for my back and bum, it definitely was an interesting experience – made better by the fact that is was for a good cause. Now, I wonder what will i be driving / riding in the next Great Run? And one final thing…a take-away from the beautiful presentation that the children made for us at the home. The final commandment from the 10 commandments in Exodus – Thou shalt not covet thy neighbour’s wife! Have a charitable one…won’t you! While most of us do The Great Run in cars of variable vintage and variable levels of horsepower, we had a hero who came with a 250cc motorcycle and went the distance through tarmac, dust, rain, traffic, roadblocks, hunger, fatigue, more rain, sunlight, darkness, awe, amazement, doubt, speculation and, much to his relief, home.